The issue: China’s government hopes that co-ordinated development of Beijing and Tianjin with the neighbouring province of Hebei will help ease congestion, pollution and the soaring cost of living in the capital and help spread prosperity and create new jobs. But plans for a metropolitan region numbering 110 million people linked by new railways and roads, along the lines of the Pearl River Delta, will likely fail to deal with familiar problems related to urban sprawl, say critics. This could mean even greater pressure on water and land resources in the parched, and already heavily populated, area in and around Beijing. So says Pan Jiahua, a director with Institute for Urban and Environmental Studies, the Chinese Academy of Social Sciences, and a member of China’s National Expert Panel on Climate Change. Chinadialogue (CD): What’s your opinion of this plan? Pan Jiahua (PJH): Some of the proposals need further discussion. For example, the plan talks about ‘one core, two cities and three routes’ – isn’t this still thinking in terms of Beijing at the centre spreading outward? The Jing-Jin-Ji strategy was devised to take certain functions out of the city, yet in the end it’s become all about Beijing, putting other cities in a subordinate position. The ‘two cities’ are Beijing and Tianjin – ahead of Hebei, as they are directly-administered municipalities. That thinking is wrong. CD: What’s the root of the problem? PJH: Some planning experts haven’t changed the way they think. China’s President Xi Jinping has said that the best way to conserve resources is to plan scientifically, that the best way to waste them is to plan incorrectly, and that the biggest taboo is to plan indecisively. But the plans are based on old expansion ideas. Xi said that resources need to be allocated evenly, but clearly the concept of ‘one core’ means that won’t happen. Resources should be allocated so that the provision of services – education, healthcare, welfare and so on – is equal across different locations. But currently, certain illnesses, for example, can only get treatment in Beijing. We need to even out those differences. If provision of essential services such as healhcare in Beijing remains far advanced (compared with surrounding areas), then highly-burdensome demands on the capital will continue. Besides, health, there is a big balance in the provision of education. If you look at the 39 universities that are part of the 985 Project (China’s initiative to increase its share of world-class universities) you find eight in Beijing, and two in Tianjin. Hebei, despite having a population of 70 million, has none. Meanwhile, almost one quarter of China’s universities included in Project 211 (another government strategy aimed at improving standards in higher education) are in Beijing, with just one in Tianjin. If several of those universities were relocated from Beijing, it would help reduce pressure on the capital and help foster development in smaller cities in the wider region. The plan proposes moving lower-end manufacturing and basic services out of Beijing and prioritising value-added knowledge-based industries – such as product design and IT – in the capital. But society is structured like a pyramid – you can’t have the top without the bottom. You still need restaurant workers and cleaners (and homes fairly close by for them to live), no matter how advanced the economy is. So this thinking is mistaken. If the plans aren’t adjusted during implementation, the problems faced by the Beijing-Tianjin-Hebei region will not be solved. 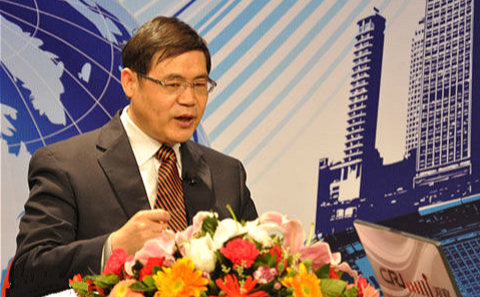 CD: Previously there was talk of ‘Beijing-Tianjin-Hebei integration’, now it’s ‘coordinated development’. The relationship seems to have changed – why is this? PJH: Integration would be more difficult. At the administrative level, you have three different provincial governments. So which one would be in charge? There are also questions of resource allocation, budgets, taxation, investment, profits and so on. ‘Coordination’ suggests that the three governments will complement and support each other and that there would be fewer obstacles to implementation. CD: What do you think this plan lacks? PJH: 'Balance' is missing. Xi Jinping’s idea of the balanced allocation of resources isn’t fully implemented. Also, the plan only looks at large cities and fails to give enough, or any, consideration to small and medium-sized cities and rural areas in the wider region. In addition, the plan ignores agriculture, which is critically important for employment, food supply, and consumption of natural resources. CD: This region suffers water shortages. How will further development stretch these resources further? PJH: Over 200 billion yuan was spent on the South-North Water Transfer Project, not to mention all the land that was used up to build it. For example, instead we could have used the money to build a new city at Danjiangkou (the Hubei reservoir that feeds the southern branch of the water transfer project) and moved people and businesses there. Can’t we move people and jobs instead of moving water? Continued expansion in Beijing, Tianjin and Hebei will just mean more demand for water and land, and that means more problems. CD: How do you think this cluster of northern cities differs from those on the Yangtze and Pearl River deltas? PJH: The city cluster at Shanghai in the Yangtze Delta is better developed. The cities complement each other more – Shanghai needs Jiangsu and Zhejiang as an economic heartland, while Jiangsu and Zhejiang need the services Shanghai provides. The Pearl River urban area is contained within Guangdong province and so coordination is stronger. The cities again integrate better. In both cases, the delivery of public services is more balanced, the private sector is strong, and, while there are energy shortages, there is plenty of water. In the 'Jing-Jin-Ji' region, Beijing receives resource priority, followed by Tianjin and then Hebei. Therefore, the capital city is more attractive and the other cities can’t compete. Energy resources are abundant, but there are grave water shortages.